Once you have installed and activate the WPPayForm, you will need to set your Stripe and PayPal API keys. If you haven’t any done yet, you can do all these by signing up Stripe and PayPal account. To set up the Stripe with the WPPayForm, you need to come down to your WordPress admin panel. Then go to WPPayForm → Settings → Stripe Settings. In the Stripe settings page, you will find 2 types of modes baring a radio button. One is for Test Mode, and another is for Live Mode. We highly recommend your stay in Test Mode until you’ve completed setting up your payment forms. While you are in Test Mode, you can use any number of test card numbers and payment provided by Stripe. To set up the Stripe payment form you need to log-in your Stripe account. From the dashboard, you need to go to the Developers section. You will get the Publishable key and Secrect key of your Stripe account from API keys section page. You will find both API keys for Test Mode and Live Mode as well. I am showing here the Live Mode configuration of Stripe. Now, open up your WordPress admin dashboard by opening a new tab. Then copy and paste Stripe API keys from your Stipe account to your Stripe Settings of WPPayForm Pro settings page. That means, start by copying your Publishable key(starts with “pk_test”), switching to your WPPayForm admin tab and paste it into the appropriate text box. Next, do the same for the Secret key (starts with “sk_test_”). Put the business name you are doing and you can set a checkout logo on your payment form using Checkout Logo opiton. After putting the necessary information, click on the Save Settings button. Then WPPayForm will be connected with your Stripe account. This is a pro feature of WPPayForm plugin and only allows for pro users of the plugin. To set up the Stripe with the WPPayForm, you need to come down to your WordPress admin panel. Then go to WPPayForm→ Settings→ PayPal Settings. Here, in the PayPal Settings page, you also get 2 modes like Sandbox Mode for demo purpose and Live Mode. Both modes follow the exact configuration process. I am showing here, live mode. There are two sections of the page named Stripe Gateway Settings and Confirmation Page settings. In the Stripe Gateway Settings page, choose the Live Mode option from PayPal Payment Mode. Next, provide the PayPal email that is associated with your PayPal account. Then you enable PayPal IPN Verification, by default, it remains disabled. 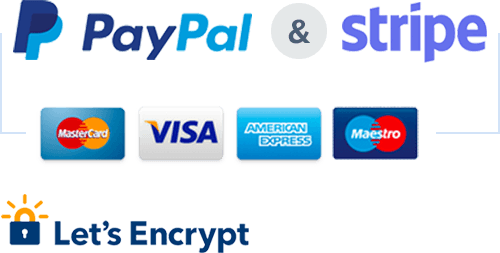 Provide the PayPal Checkout Logo, then you will find the Confirmation Page settings page where you will get options for specify the payment success and failed page. Select the page that you want to show when your payment is completed and do the same for the case of payment failed. Once, you have completed filling all the information, click on the Save PayPal Settings button. Then WPPayForm will be connected with your PayPal account.